Neoadjuvant trastuzumab combined with anthracycline and taxane is now considered a standard regimen for human epidermal growth factor receptor 2 (HER2)-positive breast cancer. A less toxic, non-anthracycline regimen has been considered as a treatment option for patients with node-negative small tumors. Estrogen receptor-negative and HER2-positive (pure HER2) tumors are more likely to achieve a pathological complete response (pCR). This study evaluates the activity and safety of neoadjuvant nanoparticle albumin-bound paclitaxel (nab-PTX) plus trastuzumab for pure HER2 breast cancer in patients with low risk of relapse. We treated patients with tumors measuring ≤ 3 cm, node-negative, pure HER2 breast cancer using neoadjuvant nab-PTX 260 mg/m2 with trastuzumab every 3 weeks for four cycles. The primary endpoint was the pCR rate. The secondary endpoints included the clinical response rate, disease-free survival, pathologic response rate (defined as pCR or minimal residual invasive disease only in the breast), breast-conserving surgery conversion rate, safety, and disease-free survival. Depending on the pathological findings of surgical specimens, the administration of adjuvant anthracycline could be omitted. Eighteen patients were enrolled. No patient required dose delays or reductions; none showed disease progression, and all patients underwent surgery as scheduled. 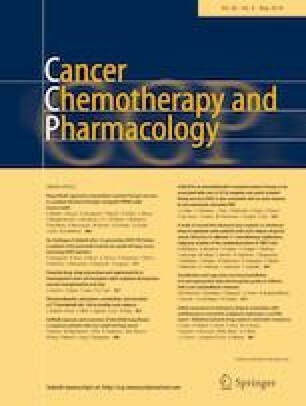 Of the 18 patients, 66.7% achieved pCR, and the adjuvant anthracycline regimen was omitted for all patients. The incidence of severe adverse events was quite low. This less toxic, anthracycline-free regimen appears to be a significantly effective neoadjuvant therapy for patients with pure HER2 breast cancer at low relapse risk. We gratefully acknowledge the participating patients, their families, and study investigators for their invaluable contributions. Data from this study were previously presented at the 2016 39th San Antonio Breast Cancer Symposium. The authors declare no conflicts of interest associated with this manuscript.